Island Spirit is proud to be partnered with Waitabu Village and Marine Park. Here’s a little more about the village and it’s renowned Marine Park. A paper called: “Sacred Water”; 10 years of community managed marine protection supported by ecotourism-based income generation at Waitabu Marine Park, Fiji Islands. Gives a deeper insight into the Park and it’s operations. Waitabu eco-tourism. Waitabu is a very traditional village, reliant on farming and subsistence fishing. In 1998 Waitabu Village requested assistance to initiate a marine Protected Area for tourism, to conserve marine resources for future generations. The MPA a shallow fringing reef (900m by 300m) was declared a no-take zone using a traditional “Tabu” method, leaving fishing grounds open in front of the village. 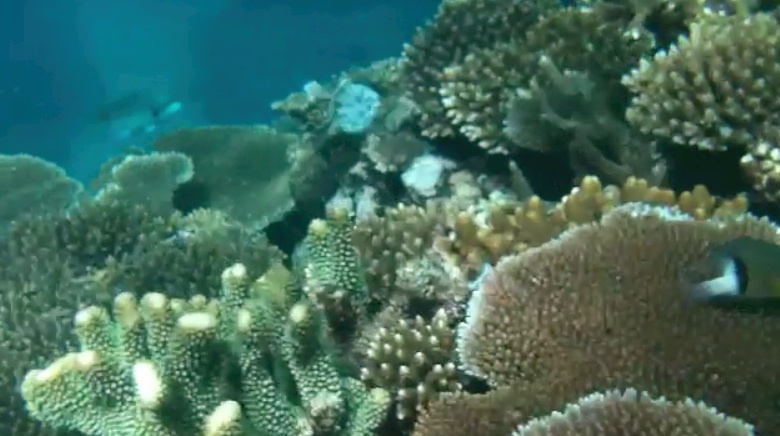 The MPA became one of the founder members of the Fiji Locally Managed Marine Areas Network (FLMMA) in 2001, and small scale snorkelling tourism day trips began. In 1998, fish species richness in the MPA was similar to that later recorded in the Fishing Grounds. After four years of protection, species and numbers increased in the MPA. More targeted invertebrates in the MPA than in the Fishing Grounds. In the Fishing Ground Trocus barely reached minimum breeding size. In the MPA, they are much alrger and of optimal breeding size. Giant clams naturally restocked the MPA, reaching breeding size in 5 years.